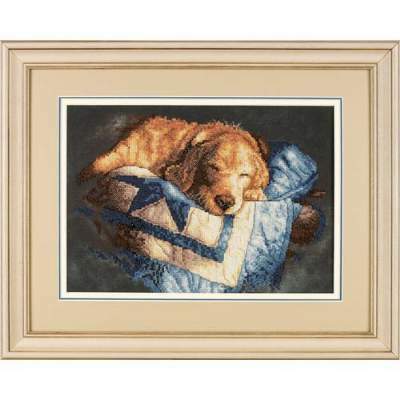 **Stamped Cross Stitch** Man's best friend is all tuckered out from watching over his family. This heartwarming stamped cross stitch portrait by Sueellen Ross is worked on ivory sailcloth with a printed background. 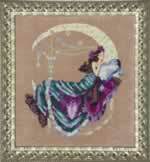 The handsome canine and mom's best quilt are embroidered with warm colors of cotton thread. Full kit from Dimensions; finished size is 14" x 10".